So story short my TEAC UD-301 pass out. 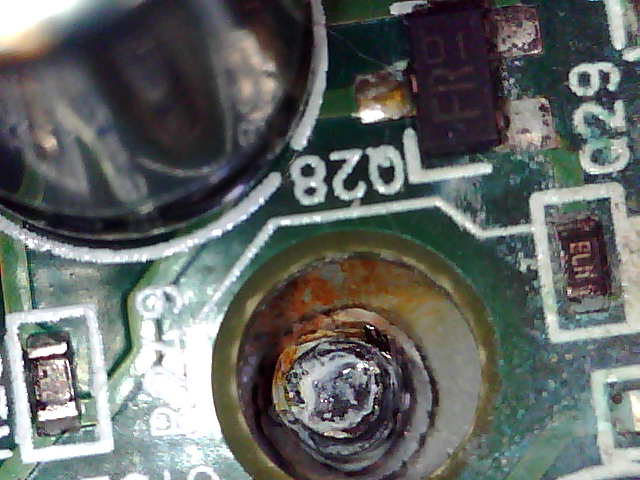 Main board got rusted my best guess humidity got into it. 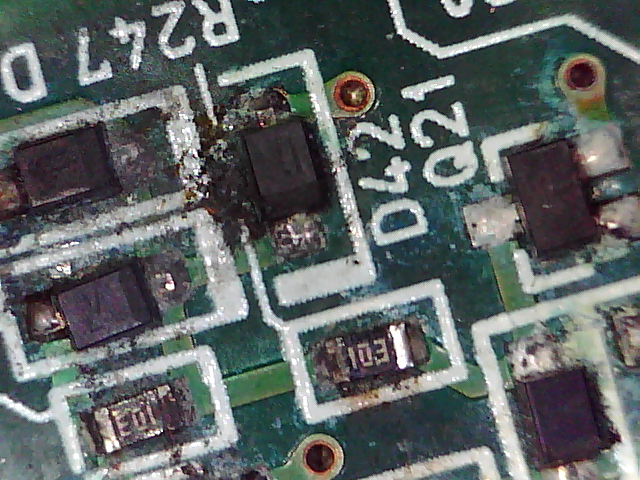 Not sure why the area here is not that humid and all other components are fine after a check (amp, pre and player). All of this is in the output section of the DAC. I contacted TEAC about buying a new main board. No reply so far. I am considering getting the Marantz HD-DAC1 or Musical Fidelity MX DAC. Any comments? I will still try to repair the 301 and I will find the board. híjole! is that the Titanic? I wish I still had some Intenso in stock as it'd be a knock out winner over the HD-DAC1 which is my second favorite three figure DAC. I do have a Blue Diamond CD Player priced well below MSRP that could be your full digital solution, but still about twice your budget. I haven't announced it publicly, but my partnership with North Star is coming to a close. Unlike Dayens, NSD has been flawless and I truly wish I didn't have to take this route. If you can find some of their DAC's, they are particularly difficult to beat in the more budget-friendly arena. That totally blows! I wish I had room for an upgrade NS is the shciznit! Agree with Skip! I have the Intenso which is in the main rig, and I have an AMP-1 which has I believe has the same DAC, but I needed an integrated for the office rig. Bryston makes a great DAC. While it has a four figure price, it is worth it. I love my NuForce WDC200 for it’s ability to handle lossless media over wifi. 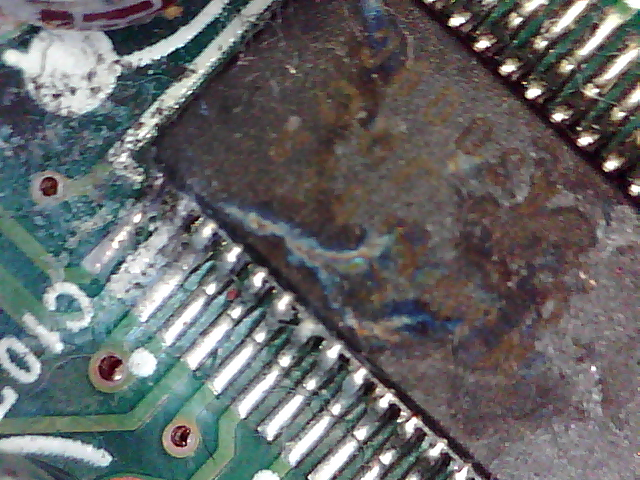 I'm not sure that is rust in the photos, but possibly just electrical circuit damage. That's a bummer to hear that Skip. They had good stuff from what I heard. Are you on the hunt for something new in that price point, or possibly leaning on Norma for the digital front moving forward? I have an M1 dac in black sitting here in the closet. If anyone is looking. I have a Brooklyn DAC+ and love it. I'm not certain yet. I always have my eyes and ears peeled for something that sets itself apart. Thanks for the advice. Have not updated yet. Work has been very busy and add jury duty to the mix. Probably will go with the Marantz like the headphone amp feature will go well with My HD650. Get the Excelsio in the FM. It will trounce anything under four figures and is a steal at the price. Thanks for the recommendation but that one is gone. I am still looking been busy at work. This ones are also on the list. Yulong DA9 only draw back no remote. I will be in Japan next week and will be staying in the electronic district (Akihabara) not sure if I want to bring back something from there. Not sure how much I will have to pay at customs. Get the Lumin X1, which is a file player and DAC. I have the S1, and will soon be upgrading to the X1. However, I recently upgraded the S1 power supply to the X1 power supply, and have been so happy I am in no rush to get the X1, but eventually I will. A big benefit of the integrated DAC in the Lumin is you do not need to buy a DAC power cord, and interconnect cables. That saves at least $6K right there over having an external DAC. The Marantz SA14 I have in the FM is a top notch SACD player and a pretty good DAC. Thanks for the recommendation but that one is gone. Sorry my friend as I snagged the NS and love it! Hey the native stuff in Japan, aren’t they different in power requirements? 100v and 220v depending on the region, IIRC.